12.30: Arrive at Paloma office, Halong City. Transferred by tender to Paloma Cruise – enjoy welcome drink. 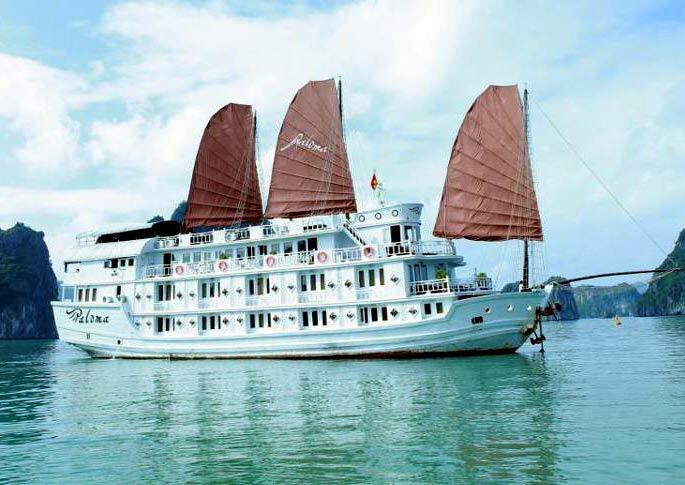 Receive cruise briefing, check into cabins and begin your cruise.Arrive at Paloma office, Halong City. Transferred by tender to Paloma Cruise – enjoy welcome drink. Receive cruise briefing, check into cabins and begin your cruise. 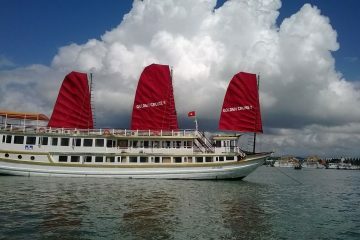 13.15 – 14.30: Have lunch – delicious Vietnamese set menu (Massage service is available after lunch and thoughout the cruise). 15.00: Head to Bai Tu Long Bay, pass the towns of Hon Gai and Cam Pha, Oan Lagoon, Mat Quy (Monster Head) and Am Tich (Teapot) Islets and Vung Vieng fishing village. Visit the Vung Vieng fishing village by local rowing boat (01 hour) or Kayak into the village then return to the vessel for your leisure or join one of the following optional activities: Sunbathing, traditional massage, swimming etc. 17.00:Drop anchor in the calm water surrounded by islets near Hang Trong. 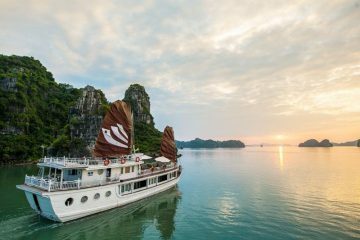 Happy Hour (sunset party) 18:30: Vietnamese cooking demonstration on boat. 19.15: Sumptuous Set-dinner onboard. 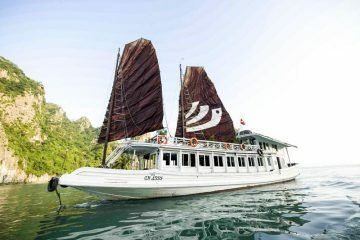 06.15: Start your day with Tai Chi on the Sundeck while complimentary tea & coffee are served 07.00: Paloma weighs anchor to sail through the bay and pass by several beautiful places such as Trong (Drum) cave, Trinh Nu (Virgin) cave, Coc Ngoi (Toad) Islet, etc. Early breakfast in the dinning room. 08.3: Transfer to Smaller boat for Lan Ha Bay excursion. 09.30: Guided kayaking and swimming at Three Peaches beach, a pristine natural beach lapped by the turquoise water. 12.30: BBQ lunch is served on beach (depend on the weather). 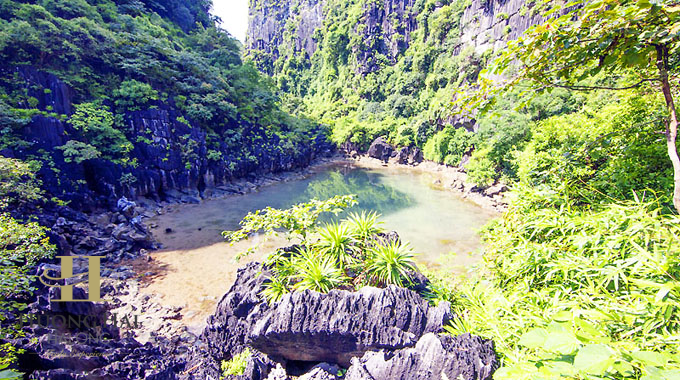 14.00: Continue discovering discovery Toi and Sang Cave (depend on the condition), the most remote point in Lan Ha Bay and bordering the Gulf of Tonkin. 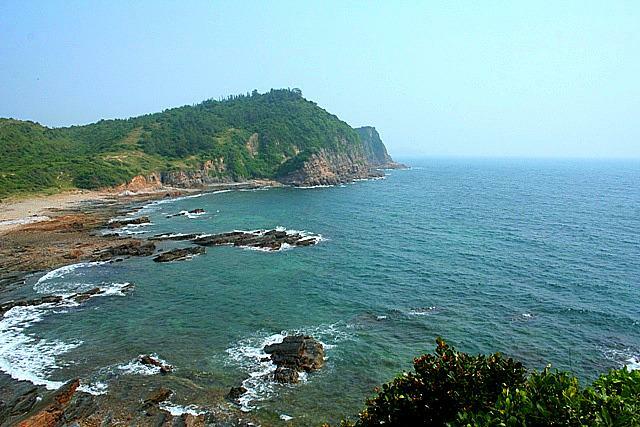 Visit its quaint fishing village and lagoon. Possibility of kayaking through an amazing tunnel under a karst mountain (time permitting). 16.00: Return to Paloma Cruise. 17.00: The vessel cruises back to the bay for second overnight anchorage near Ho Dong Tien. Happy hour (Sunset party). 19.15: Sumptuous Seafood Set – dinner onboard. 21.00: Relaxing on your cabin or join the on board activities: film entertainment, light music for dancing in the dining room (please book in advance with your tour guide), board games and playing cards are available, and massage services are available. Passengers may also try their luck at squid fishing from the boat. Happy Hour! Buy two drink - get one free (wine by the bottle excluded) Overnight aboard Paloma Cruise. 06.15: Starting your day with Tai Chi on the Sundeck while complimentary tea & coffee are served. 07.00: Have buffet breakfast in dinning room. 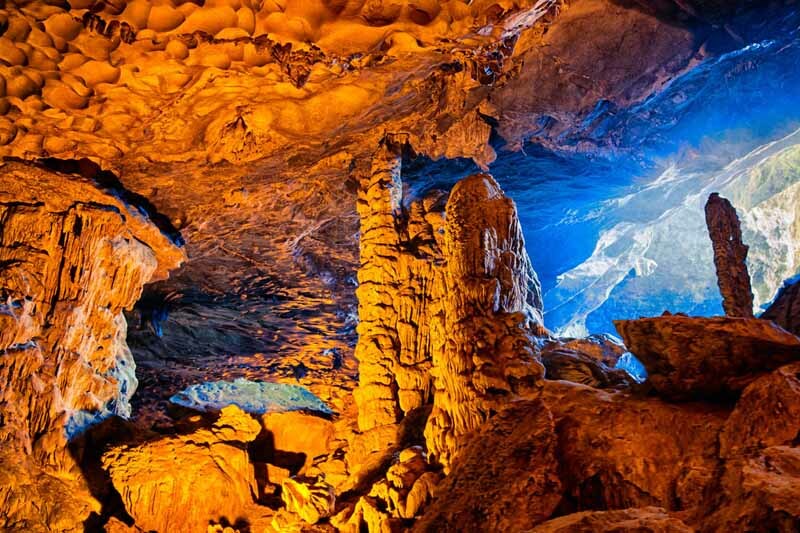 08.00: Explore the Surprise Cave (Sung Sot). 08:15: Transfer by tender to the Surprise Cave. Walk up about 100 steps to the cave entrance and tour the cave for approximately 45 minutes. Walk down about 100 steps and return to the boat.